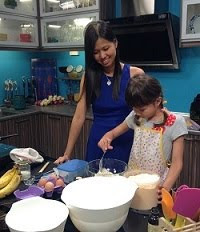 On our way to MidValley / The Gardens Mall this morning, I asked Baby C what she would like for lunch and she replied "udon". 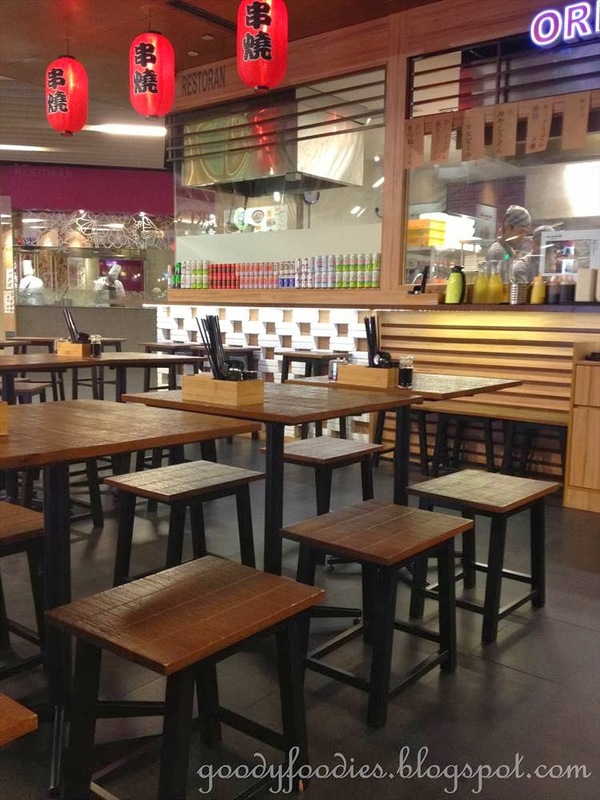 So, we headed over to Ori-Udon located in Lower Ground Floor of The Gardens Mall. 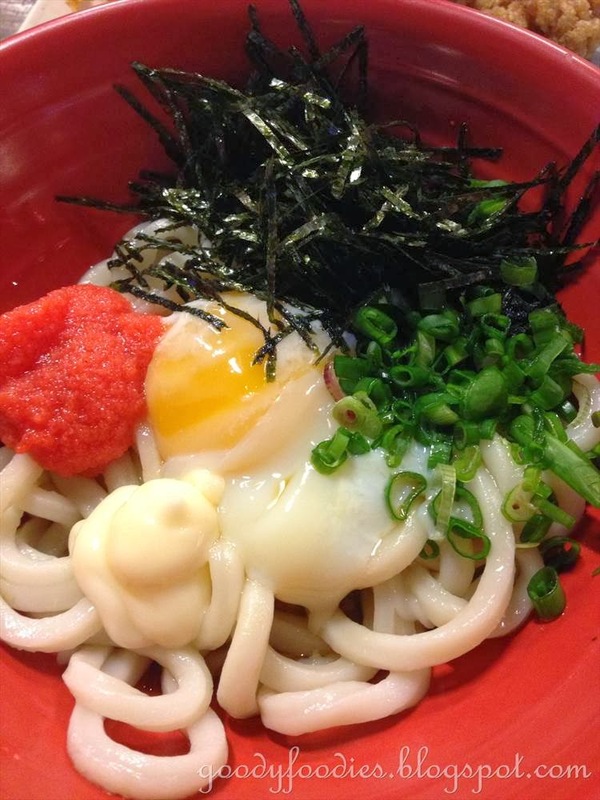 Our all-time favorite udon place is Sanuki Udon in Taman Desa and it seems that the owner, Seiji Fujimoto is the consultant chef for Ori-Udon. 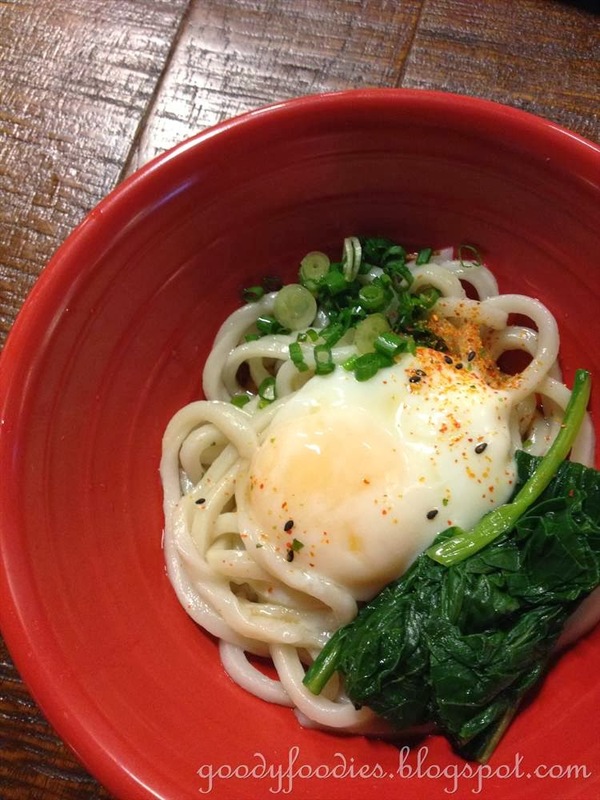 We see a few familiar items on the menu such as the house special udon, kitsune udon, wakame udon, as well as the kushiage items. 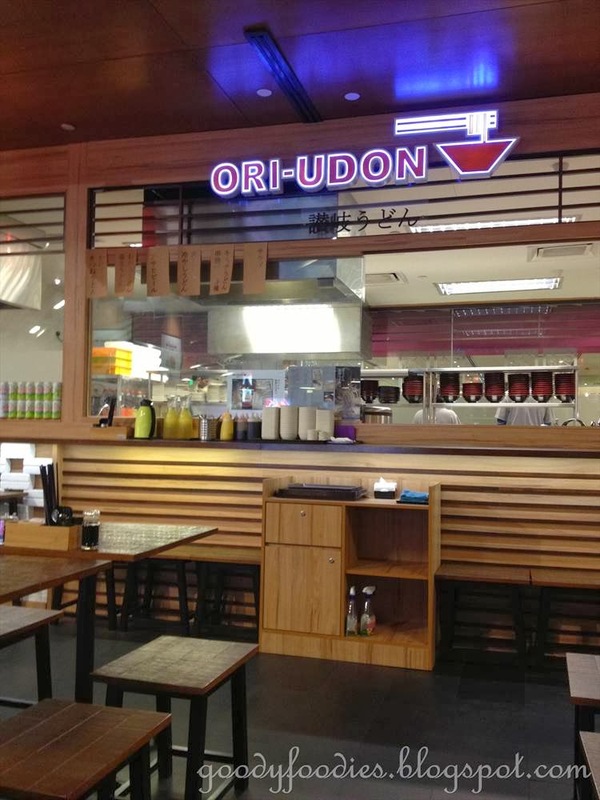 Ori-Udon is an open concept restaurant, with an open kitchen and a casual, relaxed ambiance. There are 10 types of udon to choose from, prices starting from RM6.90 (higher than Sanuki but definitely reasonable for an eatery located in a mall) as well as don (rice dishes). 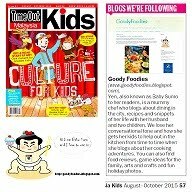 You can also go for their set meals which include udon + side dish(es) + green tea. The kids immediately zoomed in to the House Special Udon (their fav at Sanuki) (RM6.90) while we ordered the set meals as they came with two of our must-have side dishes, karaage and kakiage. 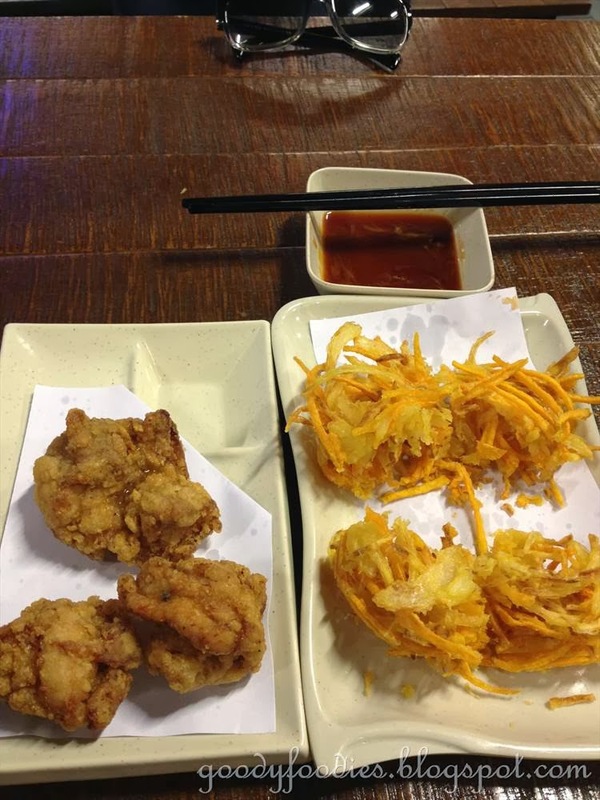 The side dishes arrived first - karaage (Japanese fried chicken) and kakiage (deep fried shredded vegetable). The chicken was juicy and tender, while the kakiage was nice and crispy. 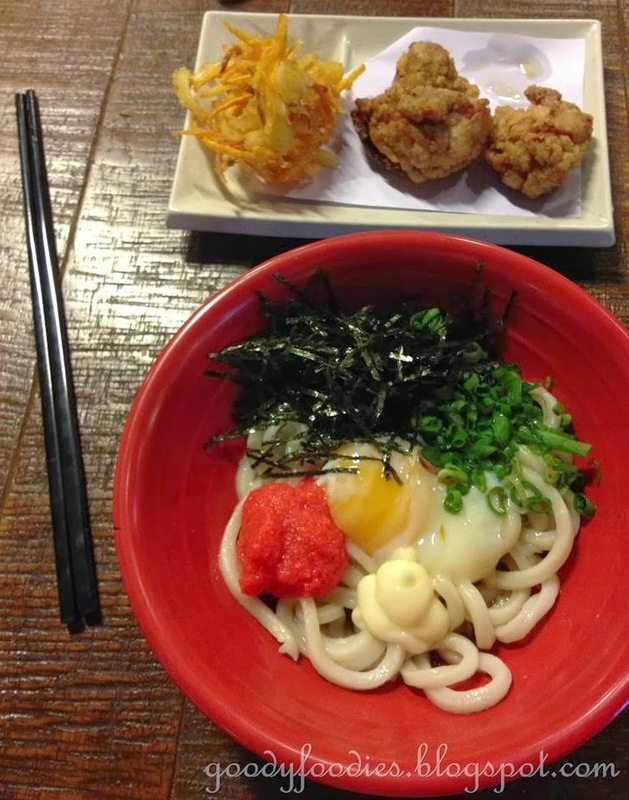 I had the mentaiko udon (RM13.90 for set, comes with karaage and refillable green tea) - this, you cannot get at Sanuki. 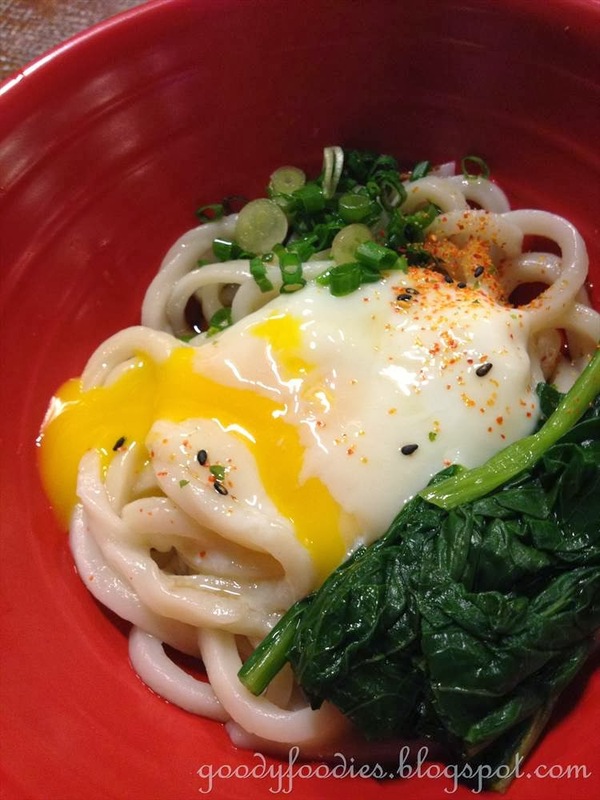 The udon is served with a runny egg, spring onion, dried seaweed, mayo and quite a generous amount of mentaiko. Mentaiko (marinated cod roe) is one of my favorite Japanese ingredients and has a subtle spicy taste. 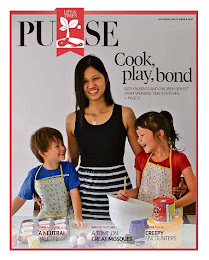 Mix it all together and I thought this was a really fantastic tasting bowl of udon. 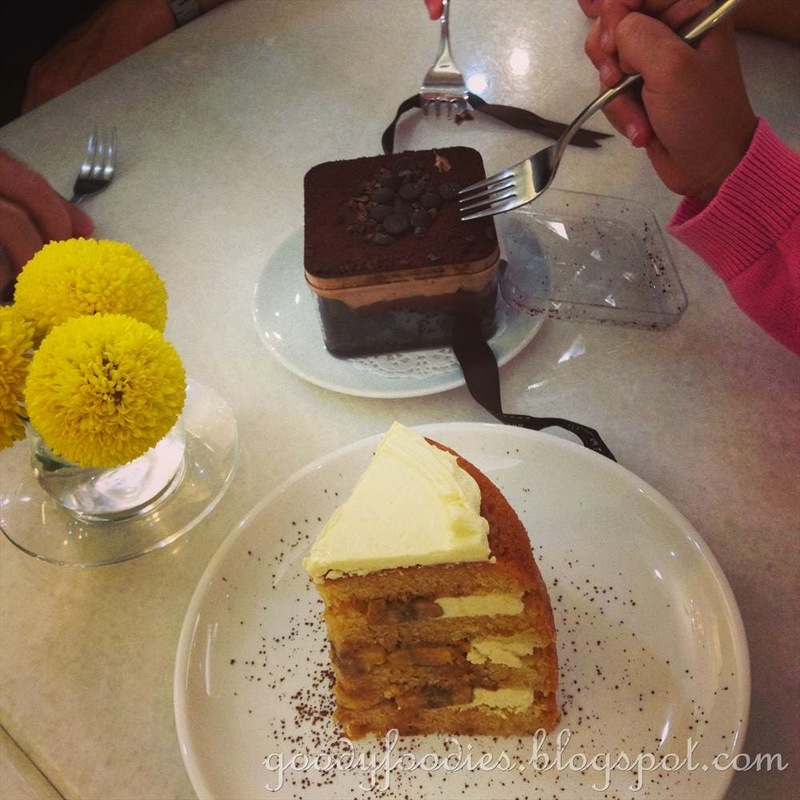 After lunch and a bit of shopping, the kids declared they were hungry again, so we stopped for cake at Delectable by Su. 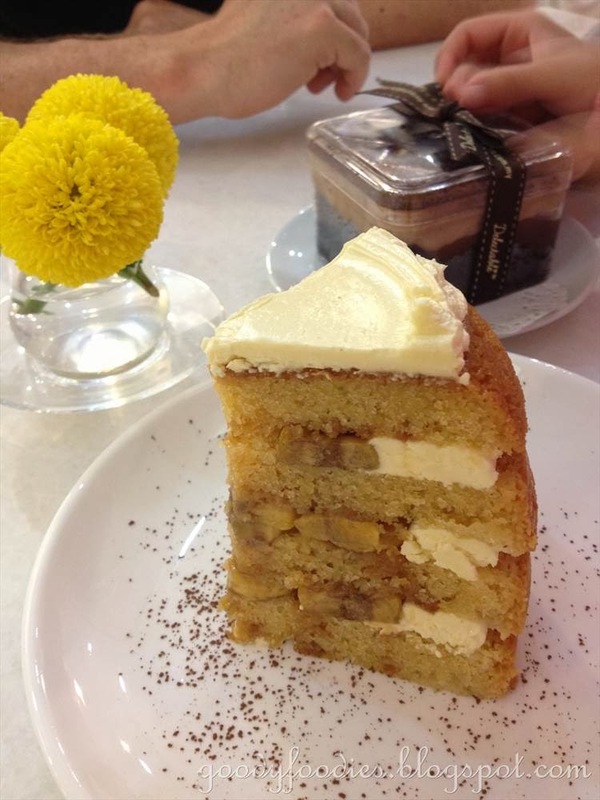 We had our usual order of 7 sins of Chocolate (RM12) as well as a slice of salted caramel banana cake. 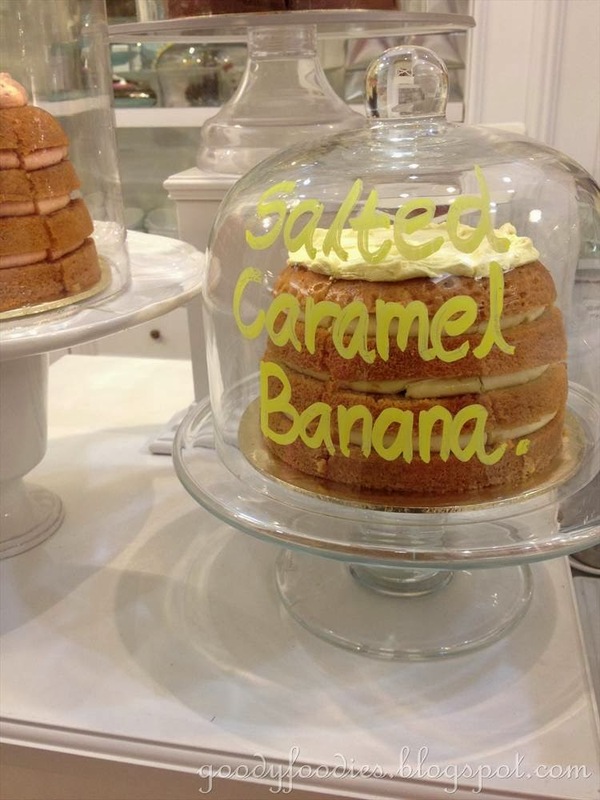 We were sold from the moment we read "salted caramel". 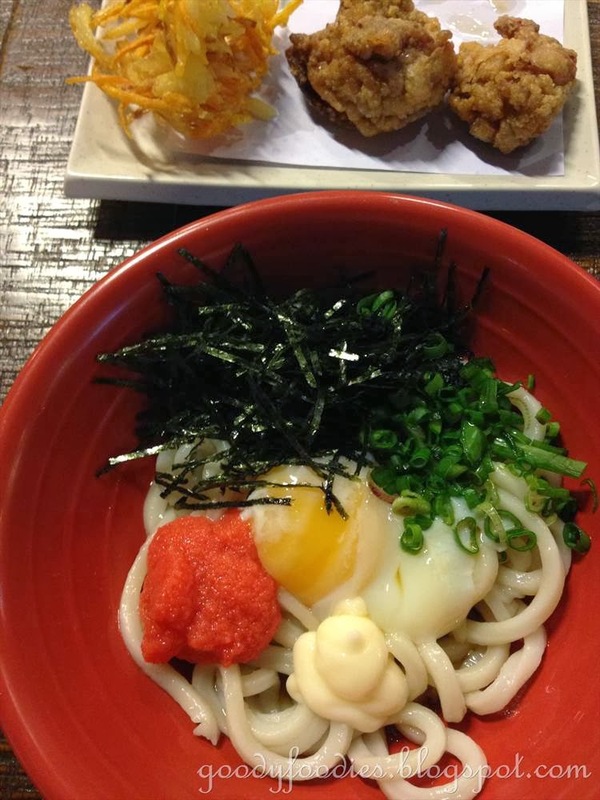 Price: Total bill RM33.75 (Ori-Udon) and RM24 (Delectable by Su). 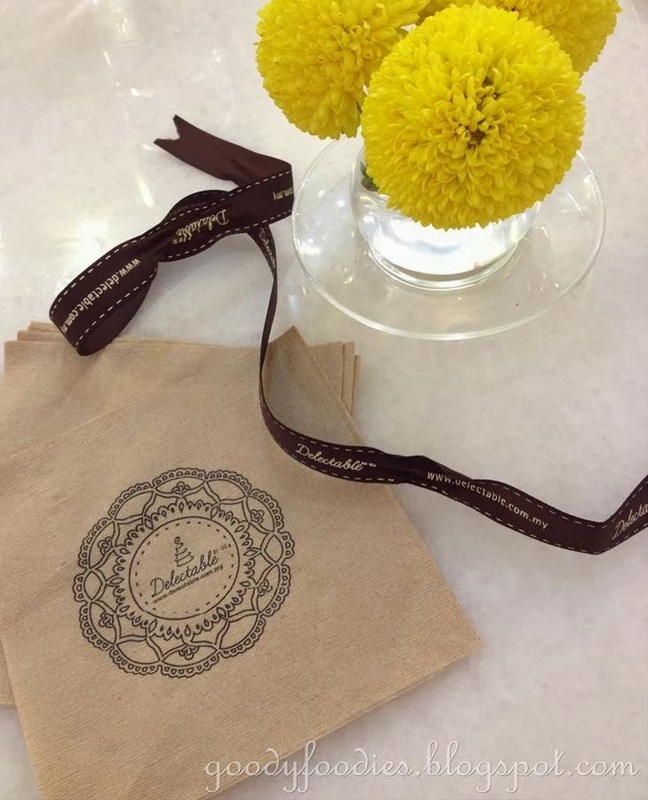 Location: Delectable by Su, Lot S213, Second Floor, The Gardens Mall, Mid Valley City, Lingkaran Syed Putra, 59200 Kuala Lumpur. (Robinsons side). I love those fat udon noodles. That cake sure looks tempting!